More than 18.3 million unique U.S. smartphone users turned to their devices for social networking access in July 2009, up from 6.4 million users a year earlier, according to new research issued by Nielsen. Social networking now accounts for 32 percent of all smartphone activity, Nielsen notes, adding that Facebook leads the pack with 14.7 million smartphone users – MySpace follows with 7.1 million, with Twitter at 4.1 million. Sending SMS text messages has become more popular than calling the person. A study by The Nielsen Company has found out that the average US mobile subscriber sends or receives more than 350 SMS messages per month, while making or receiving only 200 voice calls. The number of voice calls has remained steady over the past two years, while the volume of text messages has increased with 450%. 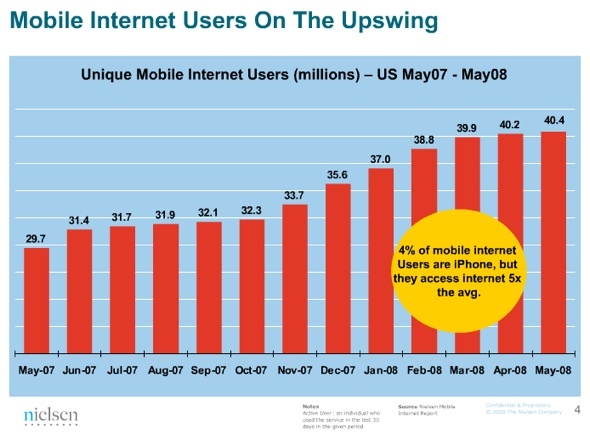 Back in early 2006, the monthly average was at 198 calls and 65 SMS messages. – Age 18-24 send/receive about 790 SMS/month. – Age 25-34 send/receive about 331 SMS/month. – Age 35-44 send/receive about 236 SMS/month. – Age 45-54 send/receive about 128 SMS/month. 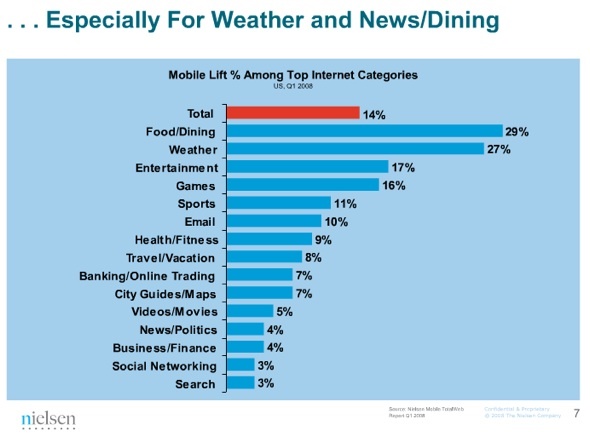 Here’s some of the mobile data just presented by Nielsen at MobileBeat 2008 yesterday in California. 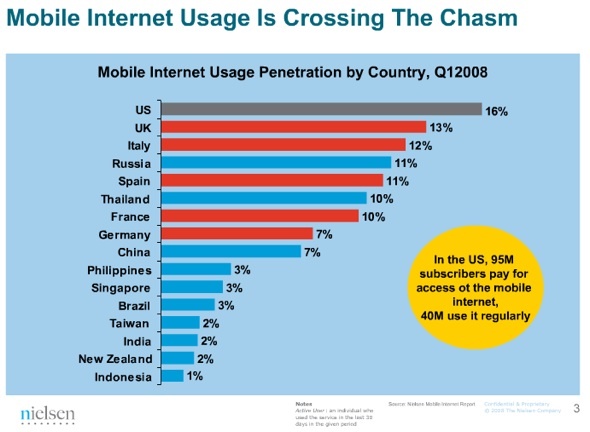 It shows how mobile Internet usage is growing. 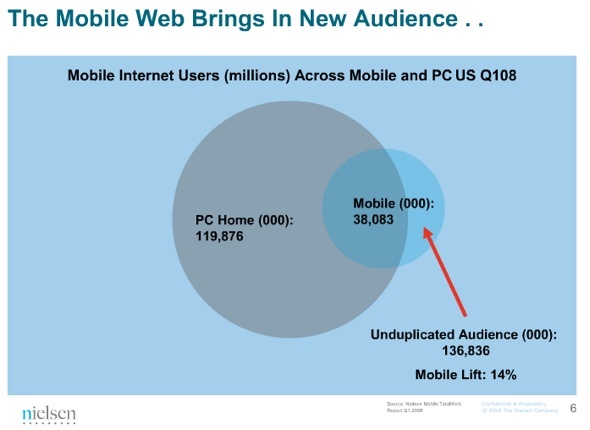 And it’s not just limited to attracting people who have become Web-savvy already on their computers; the mobile Web brings in new Internet users, too.